I have some really great posts to share for this week's Frugal Round-up.. 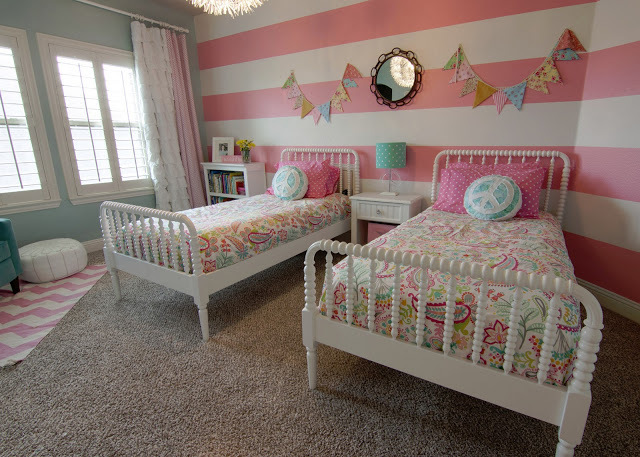 I am completely crushing on this little girls' room reveal shared by A Little of This, A Little of That. The colors are AMAZING! The patterns are fresh and pretty. 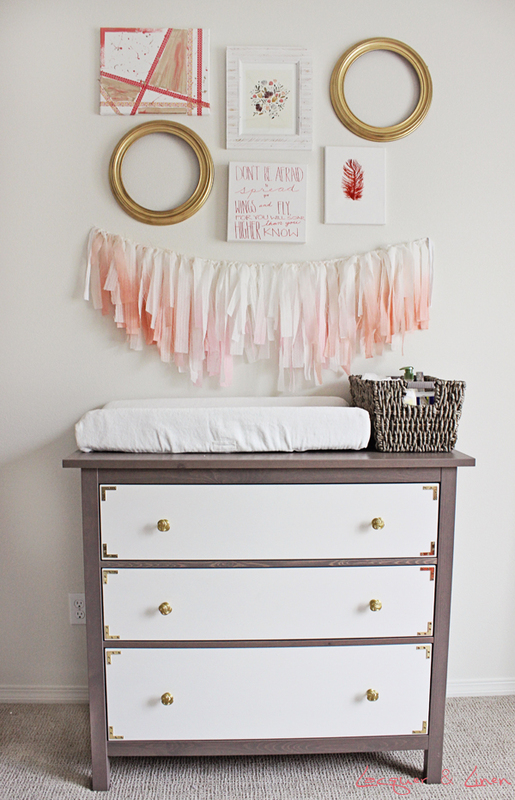 Lacquer and Linen shared a flamingo-inspired nursery reveal that really caught my eye. The details in this room make it charming and the pops of pink give it energy! LOVE. Since I'm on a roll with kids' room reveals, I just had to share this darling nursery reveal linked up by Corner House. 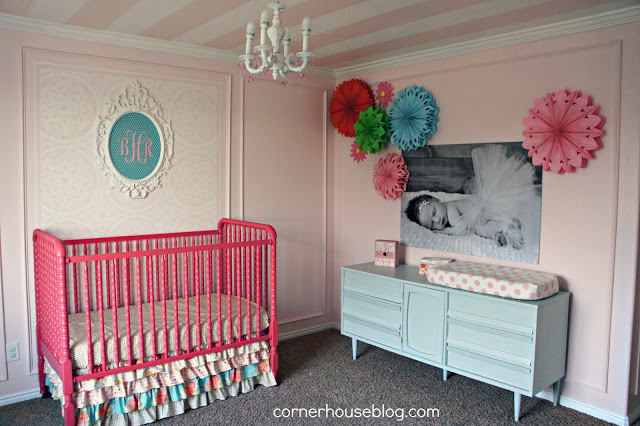 That crib bedding is ADORABLE and I'm loving the wall moulding and striped ceiling. 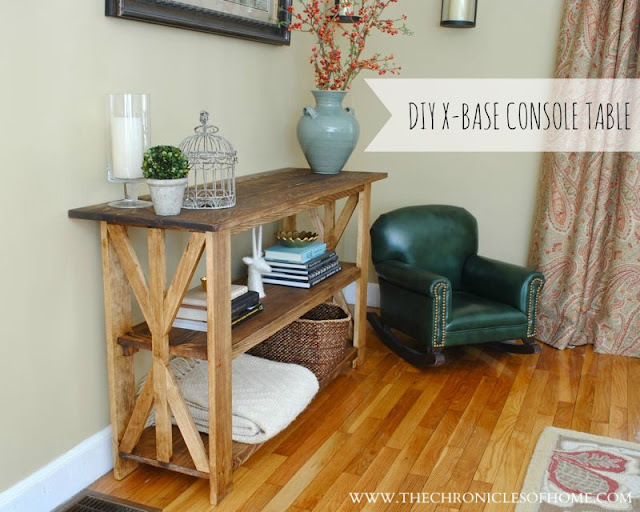 And finally, off the subject of kids' rooms...I just had to share this fabulous DIY console table linked up by The Chronicles of Home. I love those "x" leg-details! Lovely features as always Wendy! Hope your week has been extraordinary! I'd be delighted if you would help me celebrate my first blogiversary. Pop on over and enjoy the lovely giveaways for each day, too! Blessings! Thank you for another lovely party, Wendy! Thanks so much for hosting! Always so much fun! Have a lovely weekend. All the features are amazing this week! Wendy, thanks for hosting another great party! We appreciate all the work you do so we can show off! Thanks so much for hosting, Wendy! Have a great weekend! Thanks for hosting! I love the features this week :) See you next Friday! Thanks so much for hosting this gorgeous party! I was happy to share my little Chair tutorial with you ya'll! Happy Friday! Thanks for the feature, Wendy :) I adore Sarah's nursery reveal at lacquer and Linen too! Thanks for being our gracious host. You selected some awesome features.